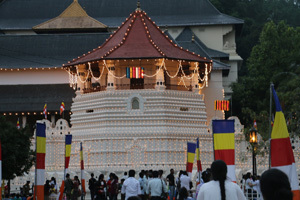 ​In the evening city tour of Kandy. Visit the Temple of the Holy Tooth Relic of Lord Buddha, the Gem Museum, and traditional batik-making factory. A stroll in the market place would also be interesting. Late evening experience a colorful cultural show where you can really taste the Sri Lankan culture. 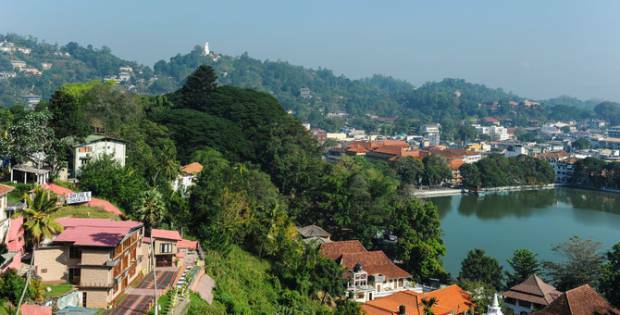 After an early breakfast proceed to Colombo view the St Clair’s and Devon falls also visit the location where the Oscar winning movie “Bridge on the River Kwai” was filmed en route. Evening city and shopping tour of Colombo Colombo is the largest city and former administrative capital of Sri Lanka and is a busy and vibrant city with a mixture of modern life and remnants of a bygone colonial era. 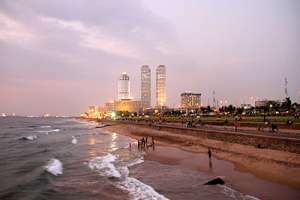 Due to its large harbor and its strategic position along the East-West sea trade routes, Colombo was known to ancient traders 2,000 years ago. However it was only made the capital of the island when Sri Lanka was ceded to the British Empire in 1815. The main city is home to a majority of the Sri Lanka’s corporate offices, restaurants and entertainment venues. 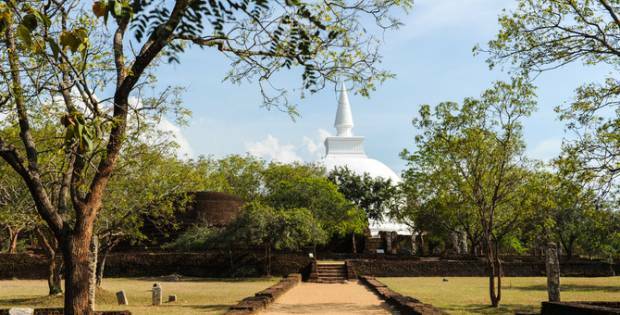 On this tour you will visit many of the historical, religious and commercial sites of Colombo including the historic and bustling Fort and Pettah, the elite residential Cinnamon Gardens, the Galle Face Green, Viharamahadevi Park and much more. 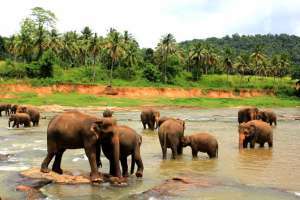 ​Discover Sri Lanka tour has a unique package designed to suit your holiday requirement just perfectly! 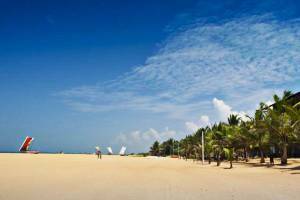 Enjoy the ultimate Sri Lanka short tour experience. Be it nature, adventure, or recreation. with some of the most beautiful views in Sri Lanka. 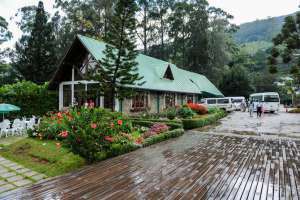 Discover Sri Lanka tour package has design for 5 days / 04 Nights, but still you can customize the tour and you can extend with beach resort stay at the end of the tour. Anuradhapura, Polonnaruwa, Sigiriya, Dambulla, Matale, Kandy, Colombo. 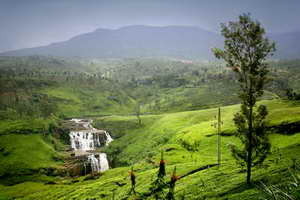 The short tour of 4 days is specially designed for a quick yet descriptive overlook of the great history of Sri Lanka. 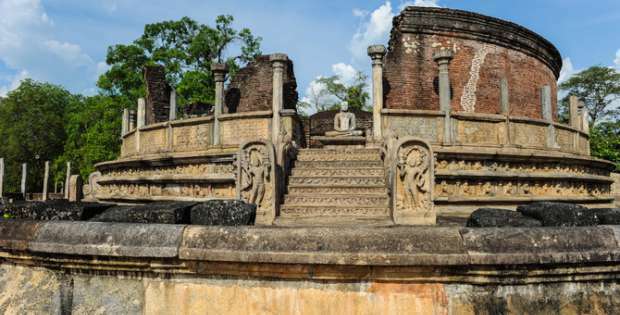 Explore the ruins and highlights of the glorious ancient capitals of Sri Lanka where you would see the pure reflections of the proud Sri Lankan history. Observe the ancient Buddhist shrines, old Buddha statues, ruins of the ancient palaces and other historical attractions within the ancient kingdoms with comfortable overnight stay at the hotel. 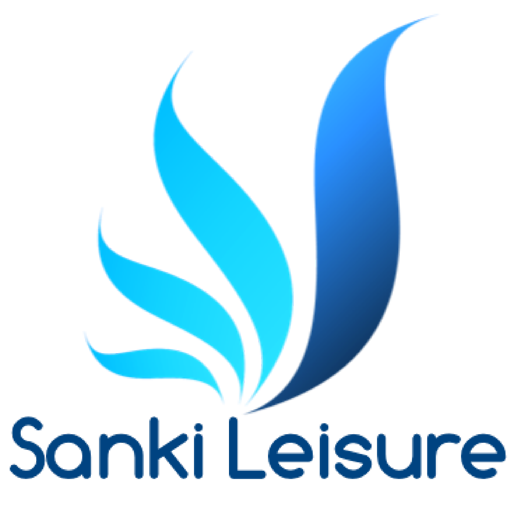 Pinnawala, Dambulla, Anuradhapura, Polonnaruwa, Sigiriya, Kandy. Sri Lanka 4 days travel package is ideal for anyone planning a short travel in Sri Lanka Colombo, Pinnawala, Kandy and Negombo city's. Our 4 days and 3 nights Colombo and Kandy travel showcases some of the most famous tourist attractions of Sri Lanka. Staying at premier hotels the tour gives a fascinating insight into some of the wonders that exist today. 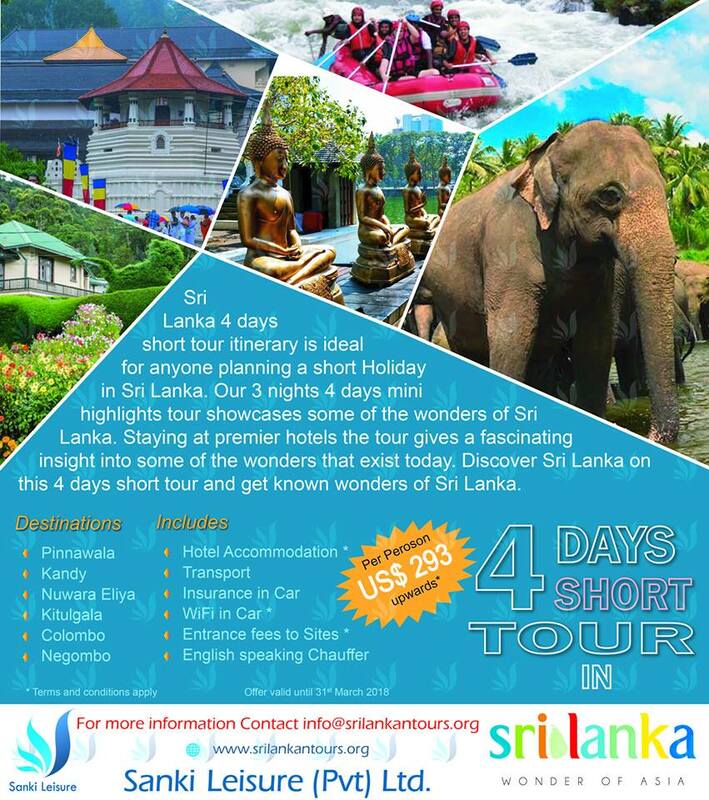 Explore Sri Lanka on this 4 days travel Colombo and Kandy short trip and get known wonders of Sri Lanka.